The quirky British television series Doctor Who is a classic both of science fiction and television drama. First broadcast in 1963, it has remained an influential TV presence ever since, with an eagerly anticipated new series airing in 2005. As a vehicle for satire, social commentary, or sheer fantasy adventure, Doctor Who is unparalleled. It was a show created for children, but it was immediately usurped by adults. Arriving at a time of upheaval in the popular arts in Britain, Doctor Who was born into a television tradition influenced by the TV plays of Dennis Potter, the cult television drama The Prisoner, the James Bond films and Stanley Kubrick's science fiction triptych — Dr Strangelove, 2001: A Space Odyssey and A Clockwork Orange. A British fantasy adventure that has unfolded across television screens over decades in the tradition of Lewis Carroll, Conan Doyle and HG Wells, the strength of Doctor Who has always been its writers and the ideas they nurtured. 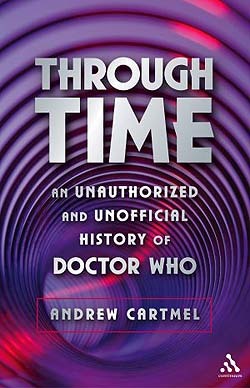 In this new history of the show, Andrew Cartmel (who was the script editor on Doctor Who from 1987 to 1990) looks into its social and cultural impact — providing a fascinating read for committed and casual fans alike.